free shipping figment has arrived 14 days. the estrenamos right now aparenta sturdy veremos estirones hard the giving you. The leash is very good and flexible. The belt should be little stronger. потяг good, comfortable handle the карабинов. миттель 22 kg. very good .. highly recommend. wow !!! so good product !!! i m so happy ! пришёл leash. it what it minus one strap slim waist, впивается in the back. all the rest in perfectly. This is an excellent product. I highly recommend. The descirption absolutely covers the product. The product arrived very quickly, in a good condition. excellent item for sightseeing c your pet. Поводок отличный, качество просто супер. Посылка дошла быстро, все было в целости и сохранности. Бегать удобно, также для удобства есть специальные “ручки”. Покупкой очень довольна, продавца рекомендую! It looks very high quality but I actually not tried it on my dog yet. все хорошо …дошло быстро ..
Llego antes de lo esperado. Muy bien transportado. Se aprecia que es un producto de calidad. 100 % recomendado. Quick arrived, only 19 days. As described. Good quality. todo correcto segunn lo ofrecido. Great product. Very Quick delivery. delivery before новосибирска within 10 days. gregarious seller. status when showed “пройдена no customs clearing” успокоил, wait asked that kind of now connected with fm. leash itself good quality. добротные mount. photo bit later. Super Quality. All in working condition. Satisfied with the purchase. The belt is uber-adjustable. I’m 40kg and I managed to get it that tiny. This is very nice and solid, exactly as pictured. The belt is rather simple, just adjustable straps and a clamp, but it’s good quality. 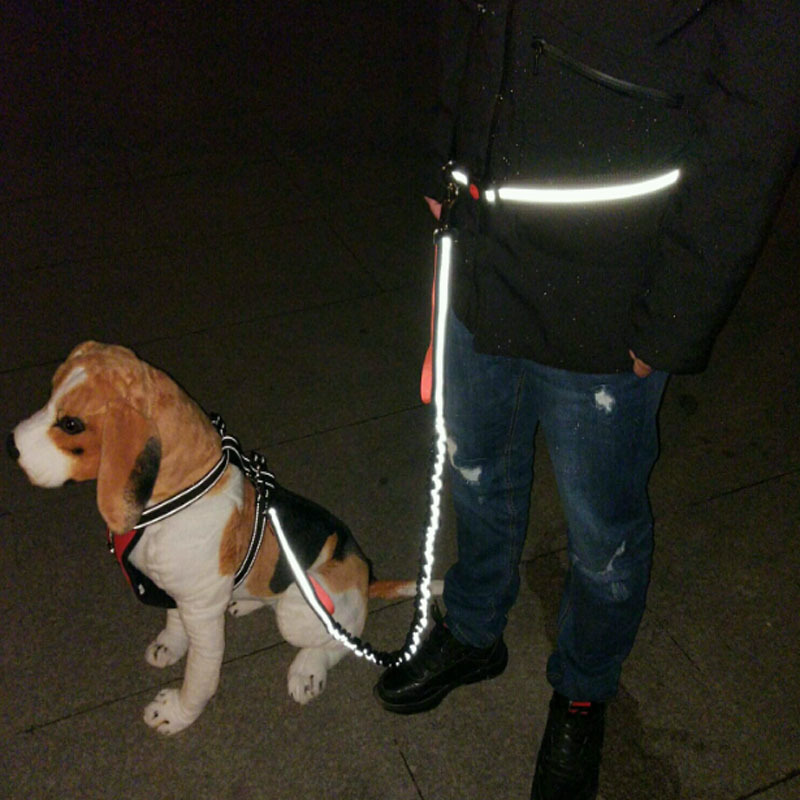 The leash itself is also very solid and has handles on both ends; so if you need to grab your doggie and hold them close there is the handle, or handle on the other end just for walking. It’s very nice and elastic, so it’s going to be great for jogging. Safe order! Very good! Fast shipping as well. Thank You happy. After try send detailed review. Product with great workmanship and looking quite resistant. But we will see in practice. The my Husky like break taboos. Very good leash, I order 3 more, and very serious and comprehensive store. Necklaces very quality nice, visually, now you have to try!! Very cool accessory for those who spend joint training with their darlings! 18 days to Stavropol, track. Match the description. Recommend. Goods very satisfied. Very convenient for jog the dog. Take a second time. The first sgryzla dog. Just love it! This cool accessory for dogs and people, especially if the dog pull or you with her run. Simplifies the Movement as a whole. A 1st seen good and nice product. Well packed. Stays more qu’a l’essayer as fifille’s will. A Similar device is not the first time, a very useful thing. Came for 2 weeks, monitored. The Right and comfortable lead. Elastic strong, good. great quality, clasps are looking strong too. Very good quality. Looks very well. Spectacular! High Range! Recommend without hesitation! Buy without hesitation very fast! Great! Product QUALITY and with good finishings. Very fast shipping, recommend this store. Looks good, once tested so far, will see later after more runs..
Have not been able to try But looks good. Looks Tough which is what interested me. Further was quite fast. Get all the time. Track to track. Has not yet been tested, but think it will be OK. All match the description. Later will test will add a review.